However, in spite of the efforts of the Almohades, Fernando III conquers Cordova, Écija and Estepa; Seville is isolated and governed by a Council. In 1248 A.D. the Muslims hand over the keys of the city of Seville to King Fernando III who triumphally enters the city. Seville becomes the seat of the Court. The coat of arms and the Seal of Seville represent king San Fernando presiding over a court, holding a sword in his right hand and a terrestrial globe in his left, between San Leandro and San Isidoro. The recapture of Seville did not cause craftsmen and traders to abandon the city, on the contrary, activity of commerce continued. The port of Seville was an important intermediate point between Baltic Italy and other countries and the most important ports of North Africa. 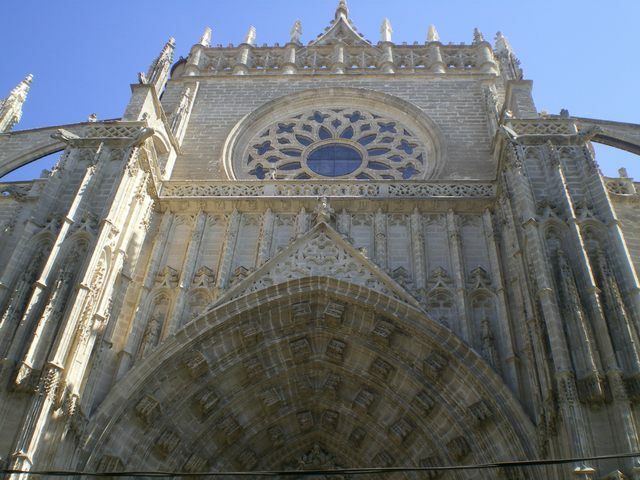 In the year 1401, the town Council of the Cathedral of Seville adopts an agreement that marks religious history in the city: the construction of the Cathedral, which became the largest gothic temple in the world and the third in extension of all Chistianity. In the XVth century the Christian conquest is culminated and Seville becomes the seat of the Holy Inquisition.